Thats all. Game finished - Nantes 2, Lyon 1. Second Half ended - Nantes 2, Lyon 1. Gabriel Boschilia - Nantes - won a free kick on the left wing. Substitution - Nantes. Enock Kwateng for Fabio. Missed chance. Gabriel Boschilia - Nantes - shot with left foot from outside the box missed. Assist - Kalifa Coulibaly. Missed chance. Samuel Moutoussamy - Nantes - shot with left foot from the centre of the box is close, but missed. Assist - Gabriel Boschilia. Substitution - Nantes. Gabriel Boschilia for Majeed Waris. Missed chance. Memphis Depay - Lyon - shot with the head from the left side of the box goes high. Assist - Rafael with a cross. Shot blocked. Moussa Dembele - Lyon - shot with right foot from the centre of the box is blocked. Assist - Léo Dubois. Substitution - Nantes. Lucas Lima for Anthony Limbombe. Fabio - Nantes - won a free kick in defence. Corner - Nantes. Conceded by Jason Denayer. Shot blocked. Majeed Waris - Nantes - shot with right foot from outside the box is blocked. Assist - Anthony Limbombe. Substitution - Lyon. Nabil Fekir for Maxwel Cornet. Goal! Nantes 2, Lyon 1. Anthony Limbombe - Nantes - from a free kick with a shot with right foot to the top left corner. Majeed Waris - Nantes - won a free kick in attack. Shot blocked. Tanguy NDombele - Lyon - shot with right foot from outside the box is blocked. Assist - Kenny Tete. Corner - Lyon. Conceded by Charles Traoré. 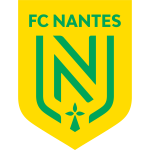 Kalifa Coulibaly - Nantes - receive yellow card. Jason Denayer - Lyon - receive yellow card for a foul. Ciprian Tatarusanu - Nantes - won a free kick in defence. Delay in match Fabio - Nantes - - injury. Corner - Lyon. Conceded by Majeed Waris. Kalifa Coulibaly - Nantes - won a free kick in defence. Missed chance. Kalifa Coulibaly - Nantes - shot with right foot from the centre of the box is high and wide to the right. Assist - Majeed Waris following a fast break. Corner - Nantes. Conceded by Léo Dubois. Shot blocked. Memphis Depay - Lyon - shot with right foot from the centre of the box is blocked. Missed chance. Valentin Rongier - Nantes - shot with right foot from outside the box is high and wide to the right. Assist - Kalifa Coulibaly. Kenny Tete - Lyon - won a free kick in defence. Tanguy NDombele - Lyon - won a free kick in attack. Corner - Lyon. Conceded by Ciprian Tatarusanu. Substitution - Lyon. Rafael for Marçal - injury. Delay in match Marçal - Lyon - - injury. New attacking attempt. Moussa Dembele - Lyon - shot with right foot from a diffucult position on the right is saved in the right corner. Assist - Kenny Tete. Corner - Lyon. Conceded by Samuel Moutoussamy. Corner - Lyon. Conceded by Thomas Basila. Missed chance. Majeed Waris - Nantes - shot with the head from the centre of the box goes high. Majeed Waris - Nantes - won a free kick in defence. Abdoulaye Touré - Nantes - won a free kick in defence. 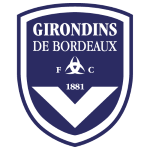 Delay in match Ciprian Tatarusanu - Nantes - - injury. Missed chance. Houssem Aouar - Lyon - shot with right foot from few metres goes high. New attacking attempt. Martin Terrier - Lyon - shot with right foot from the left side of the box is saved in the top centre of the goal. Second Half starts Nantes 1, Lyon 1. First Half ended - Nantes 1, Lyon 1. Thomas Basila - Nantes - won a free kick in defence. Anthony Limbombe - Nantes - won a free kick in defence. 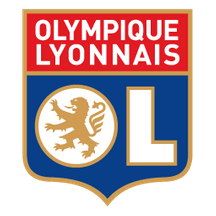 Houssem Aouar - Lyon - won a free kick on the left wing. Missed chance. Anthony Limbombe - Nantes - shot with right foot from outside the box missed to the left. Assist - Majeed Waris. Missed chance. Memphis Depay - Lyon - shot with right foot from more than 40 yards on the right wing is very close to the goal. Assist - Léo Dubois. Goal! Nantes 1, Lyon 1. Martin Terrier - Lyon - shot with right foot from outside the box to the right corner. Assist - Moussa Dembele. New attacking attempt. Abdoulaye Touré - Nantes - shot with right foot from outside the box is saved in the right corner. Assist - Majeed Waris. Corner - Nantes. Conceded by Anthony Lopes. New attacking attempt. Valentin Rongier - Nantes - shot with right foot from outside the box is saved in the right corner. Shot blocked. Samuel Moutoussamy - Nantes - shot with left foot from the right side of the box is blocked. Assist - Fabio. Missed chance. Moussa Dembele - Lyon - shot with the head from the centre of the box is high and wide to the left. Assist - Marçal with a cross. Tanguy NDombele - Lyon - won a free kick in defence. Substitution - Lyon. Memphis Depay for Lucas Tousart - injury. Martin Terrier - Lyon - won a free kick in defence. Corner - Nantes. Conceded by Kenny Tete. Delay in match Jason Denayer - Lyon - - injury. Shot blocked. Abdoulaye Touré - Nantes - shot with right foot from outside the box is blocked. Delay in match Lucas Tousart - Lyon - - injury. 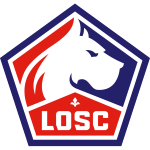 Delay in match Houssem Aouar - Lyon - - injury. Valentin Rongier - Nantes - receive yellow card for a foul. Houssem Aouar - Lyon - won a free kick on the right wing. Goal! Nantes 1, Lyon 0. Kalifa Coulibaly - Nantes - shot with right foot from the right side of the box to the centre of the goal. 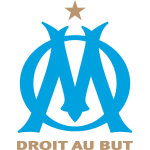 Assist - Majeed Waris with a through ball. Houssem Aouar - Lyon - won a free kick in attack. New attacking attempt. Anthony Limbombe - Nantes - header inside of six yard box - left side is saved in the top left corner. Assist - Majeed Waris with a cross. New attacking attempt. Moussa Dembele - Lyon - shot with left foot from the left side of the box is saved in the left corner. Assist - Tanguy NDombele. Martin Terrier - Lyon - won a free kick in attack. Get real-time football commentaries and full coverage for the Ligue 1 match Nantes vs. Olympique Lyonnais, powered by Scorenga.co.uk. This page is dedicated to one of the most exciting Ligue 1 clashes. Here you will find a summary of the game, standings and photos.